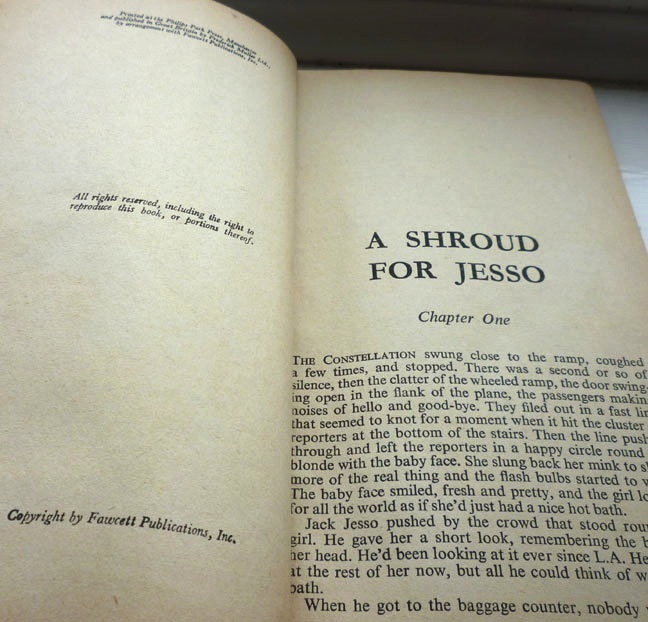 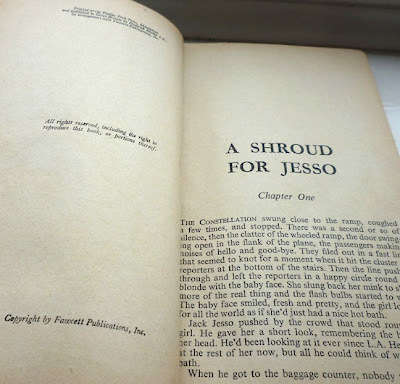 A Shroud for Jesso, published, like Stop This Man! and Benny Muscles In, by Gold Medal in the States in 1955. 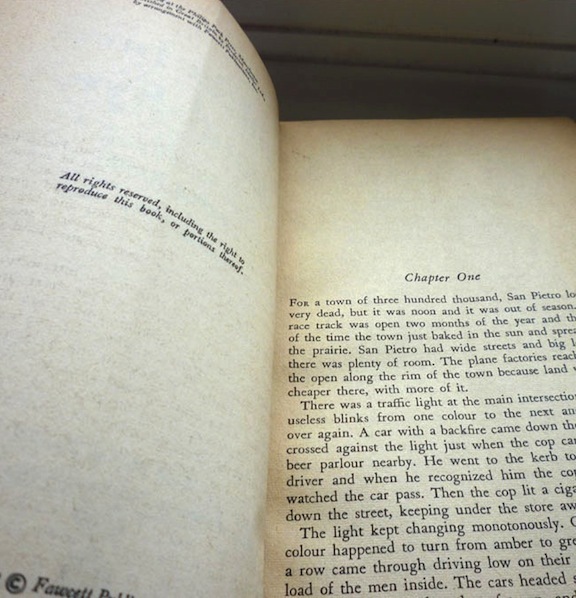 Although once again this particular copy is the British Frederick Muller edition, issued... 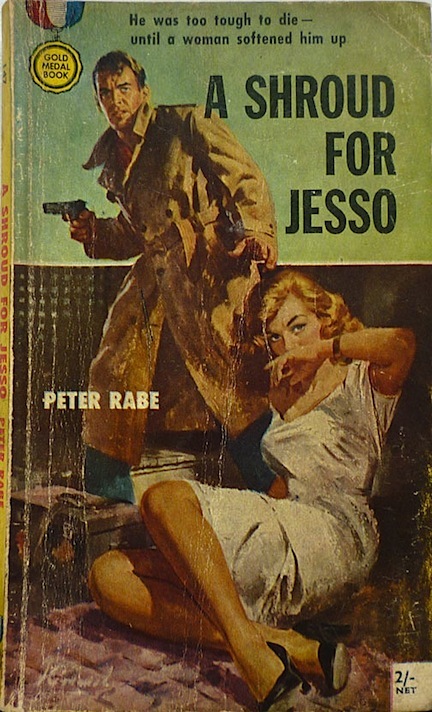 I don't know when, actually: there's no publication date inside. 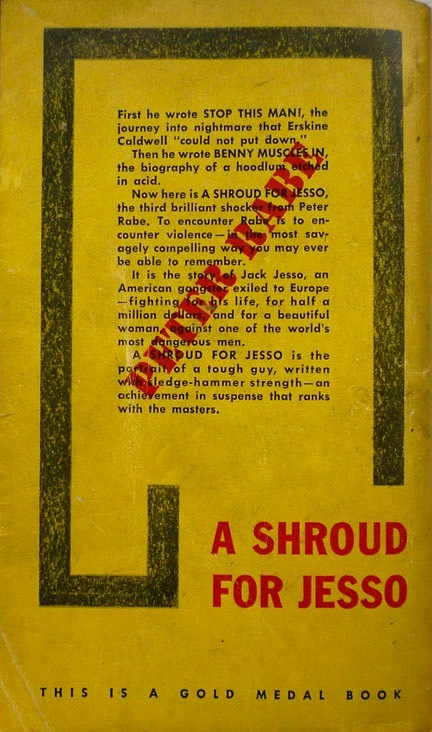 But anyway, it's essentially the same as the Gold Medal edition, with the same Lu Kimmel-illustrated cover. 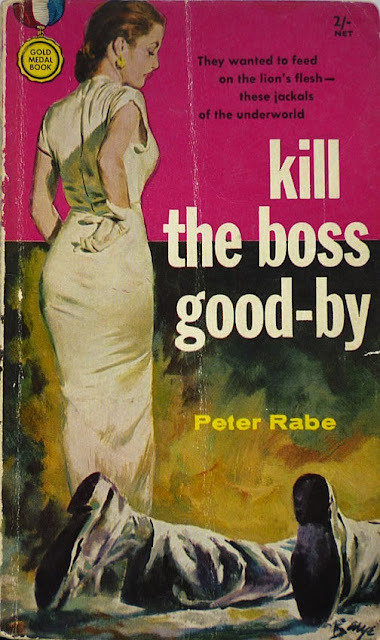 Kill the Boss Good-By, published by Gold Medal in 1956 (although as before, this copy is the Frederick Muller edition, bought at the last-but-one London Paperback & Pulp Bookfair), with terrific cover art by Barye Phillips. Westlake uses Kill the Boss Good-By to kick off his essay, ridiculing the title ("Why would anybody ever want to read a book called Kill the Boss Goodbye?") but calling the novel itself "one of the most purely interesting crime novels ever written", adding "The entire book is spare and clean and amazingly unornamented." 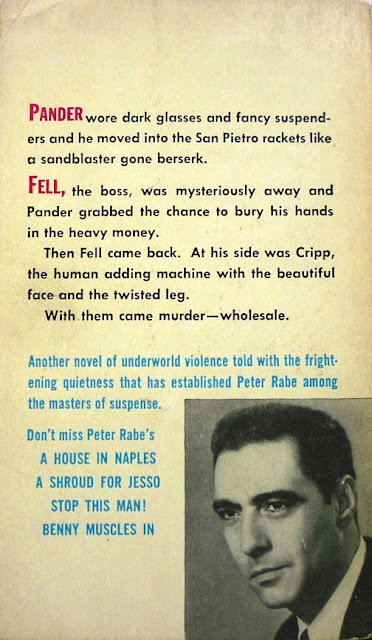 In those books, Rabe combined bits and pieces of his own history and education with the necessary stock elements of the form to make books in which tension and obsession and an inevitable downward slide toward disaster all combine with a style of increasing cold objectivity not only to make the scenes seem brand new but even to make the (rarely stated) emotions glitter with an unfamiliar sheen.